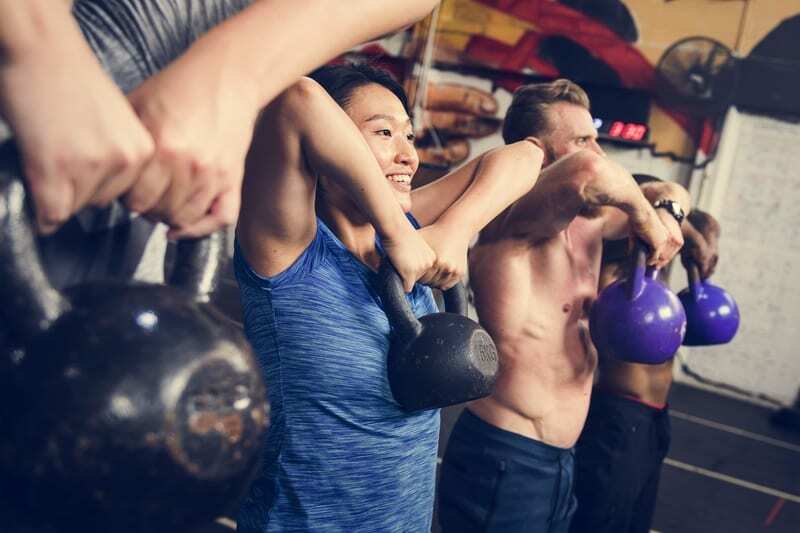 With over 100 classes a week taught by the best instructors in the area, we are confident you will be able to find the perfect combination of fun and fitness! Classes are taught in our state-of-the-art studios and are held in both the morning and evening hours. Exercising in water builds cardiovascular stamina, strength, and flexibility, helps burn body fat, increases circulation, and can help you rehabilitate healing muscles and joints. Research shows that people who water exercise can burn as much body fat and build as much muscle as those who engage in land-based exercise programs! 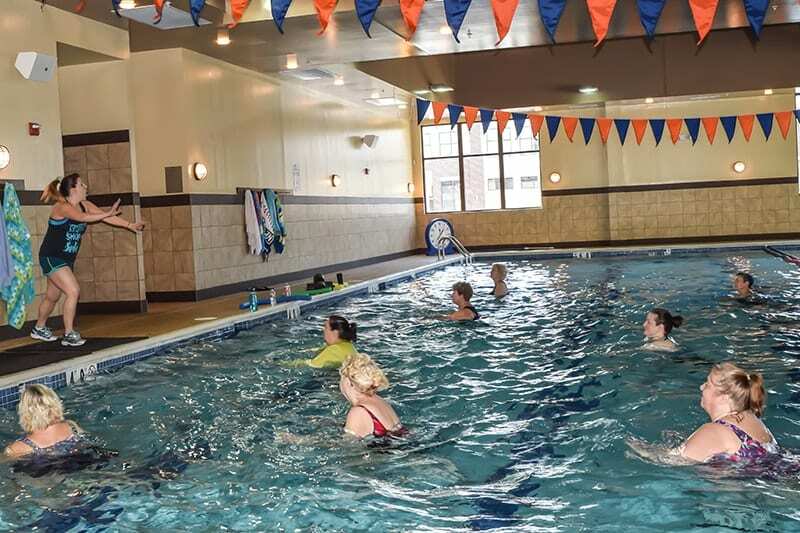 We offer a variety of aqua classes including Aqua Zumba, Aqua H.I.I.T., and Aqua Sculpt, just to name a few! Essentially, barre classes mix elements of Pilates, dance, yoga and functional training, and the moves are choreographed to motivating music. In each energizing and targeted workout, you’ll use the barre and exercise equipment such as mini-balls and small hand weights to sculpt, slim and stretch your entire body. We offer a variety of barre formats, including our own Team Barre, SoulBody Barre, and Barre Above. No matter what your age, it’s never too late to start a healthy lifestyle and exercise! As you grow older, an active lifestyle becomes more important than ever to your health. Regular exercise helps your mind, mood, and even your memory! 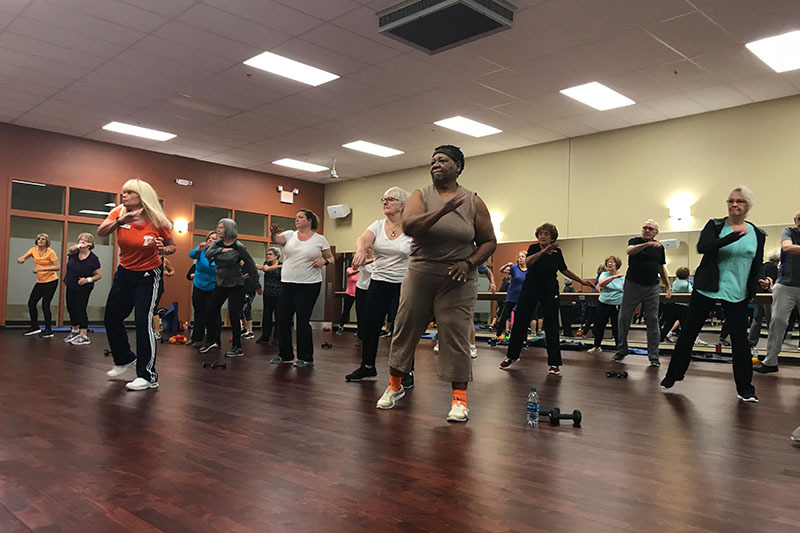 Team85 offers a variety of fitness classes for the 55+ population. We strive to create a friendly community atmosphere—everyone is welcome! Start today and become a part of the Team! GET COMMITTED. Get ready to incinerate fat and calories with the ultimate cardio-conditioning program. No matter what your fitness level, we’ll help you challenge yourself so you truly transform your body. 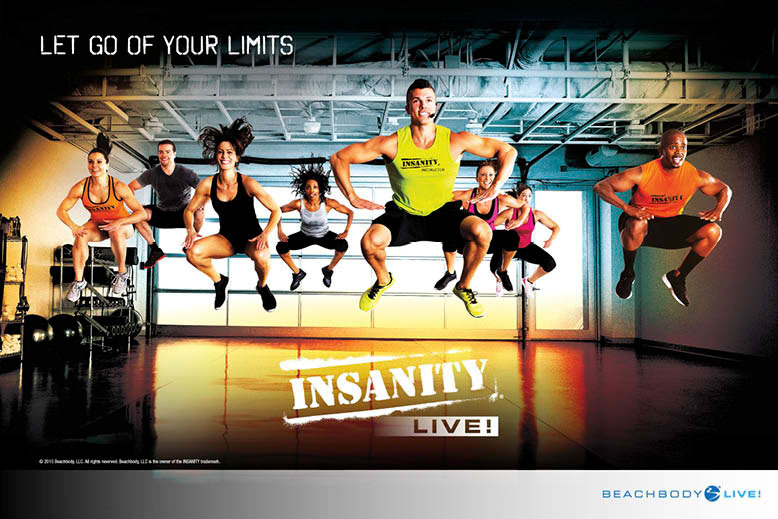 INSANITY is a revolutionary cardio-based total body conditioning program based on the principles of MAX Interval Training. By using MAX Interval Training, INSANITY pushes the participant to new training heights, resulting in more calories burned, faster results, and a more efficient metabolism. 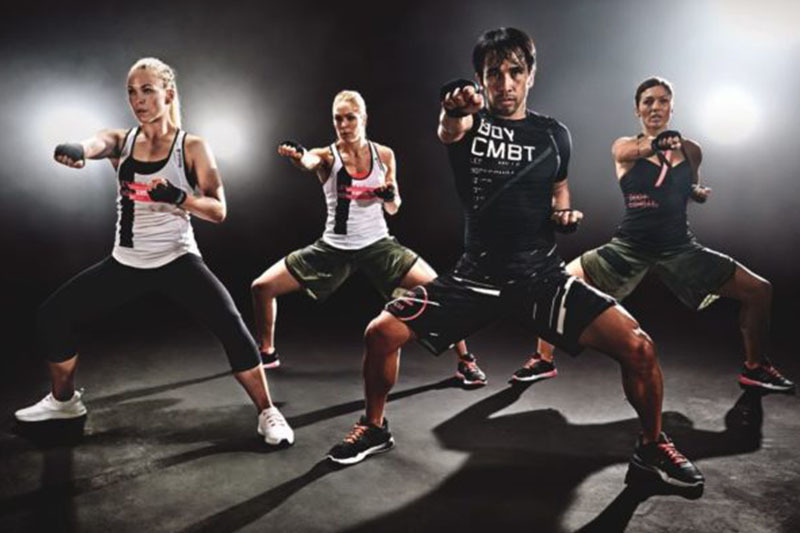 BODYCOMBAT is a high-energy martial arts-inspired workout that is totally non-contact. Punch and kick your way to fitness and burn a ton of calories! No experience needed. 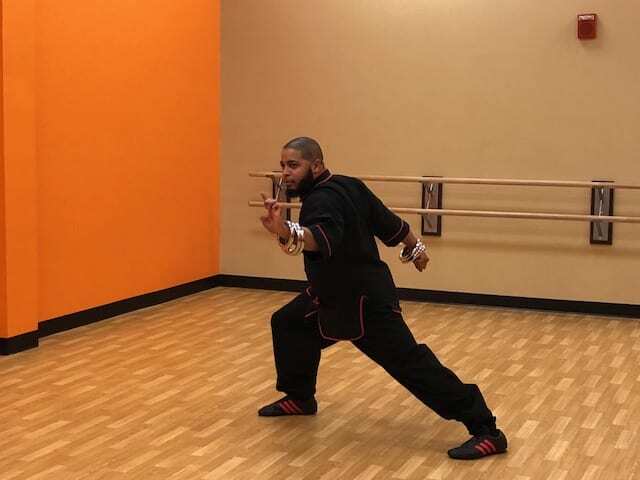 Learn moves from Karate, Taekwondo, Boxing, Muay Thai, Capoeira and Kung Fu. Release stress, have a blast, and feel like a champ. Bring your best fighter attitude and leave inhibitions at the door. Team85 proudly uses the exclusive Les Mills SMARTBAR™ in all BODYPUMP classes! The SMARTBAR™ is nothing like the industry has seen before. Combining cutting-edge ergonomic design with strong and durable construction, it is fitness equipment of the highest quality. Amp up your workout with this state-of-the-art equipment! Team85 was the first gym in the immediate area to utilize the Les Mills SMARTBAR™! MEDITATION has many health benefits and is a highly effective way to relieve stress and maintain a healthier lifestyle. Regular meditation practice has been proven to help reduce stress and anxiety, and even lower the risk of cardiovascular disease. 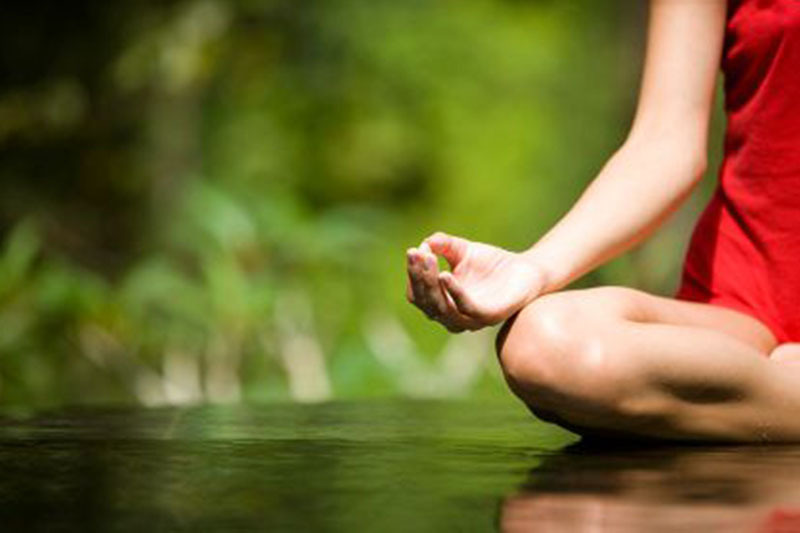 There are many different ways to meditate and we offer a variety of meditation classes, each with a different focus. With practice, you can use this technique to feel inner peace whenever you need it. PiYo LIVE incorporates the muscle-sculpting, core-firming benefits of Pilates with the strength and flexibility of yoga. You’ll use your body weight to perform a series of continuous, targeted moves to define every single muscle—big and small. We crank up the music, the speed, and the fun to give you an intense, yet low-impact workout that will burn crazy calories for a long, lean, beautiful physique. Designed for all fitness levels, POUND® provides the perfect atmosphere for letting loose, getting energized, toning up and rockin’ out! The workout is easily modified and the alternative vibe and welcoming philosophy appeals to men and women of all ages and abilities. There’s no dancing in THIS class! Stop counting the reps and start training to the beat! 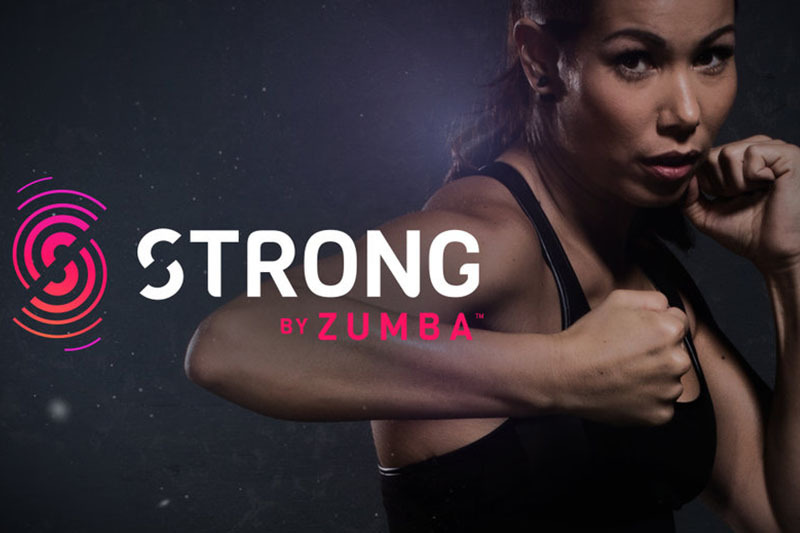 STRONG by Zumba® combines body weight, muscle conditioning, cardio and plyometric training moves synced to original music that has been specifically designed to match every single move. The music drives every squat, every lunge, every burpee, helping you make it to that last rep, and maybe even five more. In a one-hour class, you will burn calories while toning arms, legs, abs and glutes. Plyometric or explosive moves like high knees, burpees, and jumping jacks are interchanged with isometric moves like lunges, squats, and kickboxing. STRONG by Zumba® instructors change up the music and moves frequently to ensure you’re always challenged to the max. 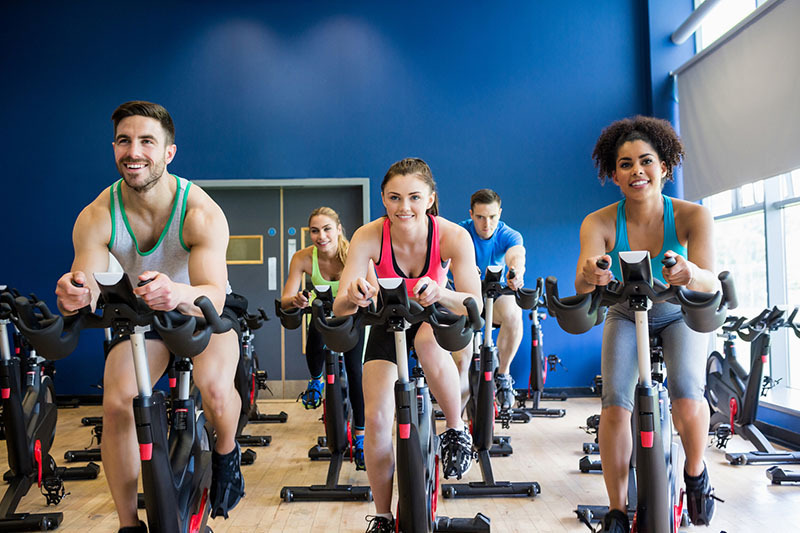 A 50-minute indoor cycling workout that burns calories and keeping your muscles in shape — especially during the off season. We follow the Energy Zone format. Your ride will either be Endurance, Interval, or Strength. Please see our monthly class calendar for the ride schedule. COME OUT AND TRY THE ULTIMATE CARDIO KICKBOXING PARTY! Ready to become a total knockout? With fierce cardio kickboxing and body-sculpting dance moves choreographed to the hottest music mixes, you’ll get ultra-lean and toned—and have a blast doing it! 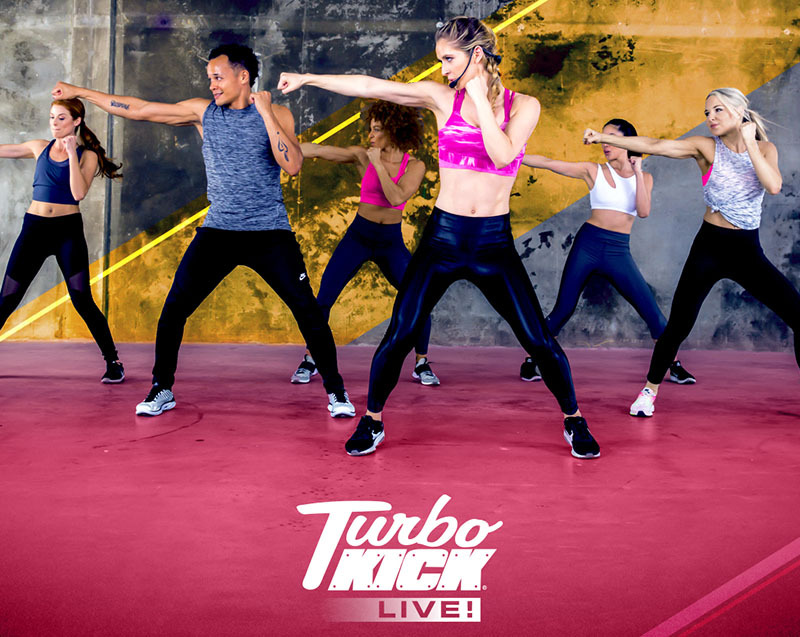 Turbo Kick LIVE is packed with real kickboxing moves, calorie blasting HIIT training and body-weight exercises, all set to the hottest remixes. You will leave every class dripping sweat and ready to conquer anything. We offer a wide variety of yoga classes taught by experienced and talented instructors. We offer classes that range in challenge, flow, and style to fit all fitness levels. We offer Vinyasa, Hatha, Gentle, Chair, Ashtanga, and Restorative yoga. Ditch the workout and join the party! We take the “work” out of workout, by mixing low-intensity and high-intensity moves for an interval-style, calorie-burning dance fitness party. 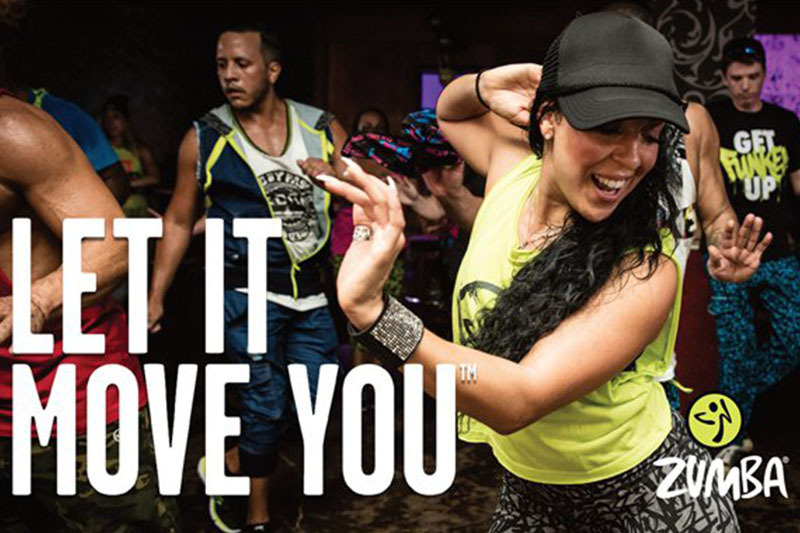 Once the Latin and World rhythms take over, you’ll see why Zumba® Fitness classes are often called exercise in disguise. Super effective? Check. Super fun? Check and check. ARE YOU LOOKING FOR A MORE INTIMATE CLASS? TRY OUR SMALL GROUP TRAINING!